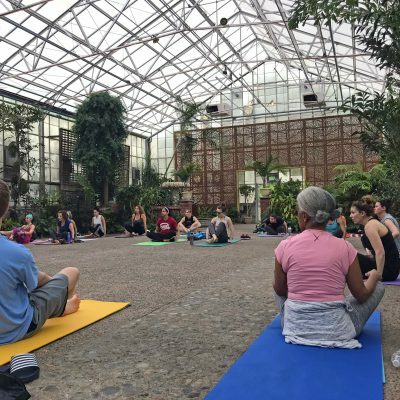 Enjoy yoga classes in a heated greenhouse surrounded by tropical plants at the Fairmount Park Horticulture Center this winter! All classes are from 1pm – 2:30pm. Please note these classes are not appropriate for students who are brand new to yoga.